Notwithstanding the limited visibility into the IPO, advertisers are warming up to Snapchat. Ad firm WPP's CEO Martin Sorrel told CNBC that its clients spend about $90 million on Snapchat in 2016, which is a notable increase from the $30 million WPP predicted at the start of the year. Given the ad spend statistics, Sorrel believes the company's total revenues could be higher than what the markets have been anticipating. Quarterly filing by Facebook Inc FB 0.64% showed that ad revenue totaled $6.82 billion in the September quarter of 2016, with 50 percent of it coming from the United States and Canada. Ad revenues for 2015 was at $17.08 billion. In comparison, Twitter Inc TWTR 1.74% saw advertising revenues rise 6 percent year-over-year to $545 million in the September quarter of 2016, with mobile advertising making up 90 percent of the total. For 2015, advertising revenues totaled $1.99 billion, a 59 percent increase. The success in raking in ad dollars has prompted Snapchat to test two features this month in Snap Ads, according to Mashable. Making it easier for advertisers to meet their targets, Snap is providing for deep-linking, allowing video ads inserted between Stories or on Discover. Another feature called the auto-fill feature allows advertisers offering user sign-ups forms to have some of the details auto filled from information about users already available with Snapchat. Thus, Snapchat's ad business will begin to look more like Facebook's. 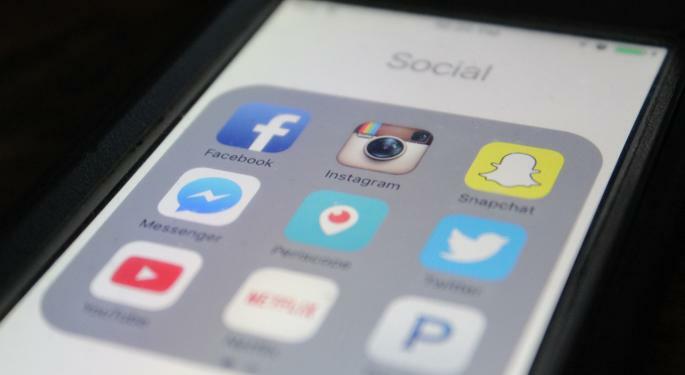 A TechCrunch report suggested that Snapchat is adding a universal search bar at the top of the app, allowing users instantly search for friends, groups, curated Our Stories, etc. This feature could also help increase ad revenues through search advertising. Additionally, through the user search, Snapchat gets privy to behavioral data that can be used for targeted ads. Separately, Michael Lynton, the CEO of Sony Entertainment has decided to quit his position at the Japanese firm and would join Snap in the next six months.